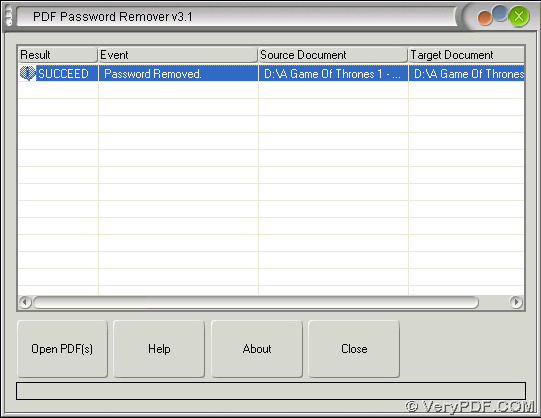 The utility VeryPDF PDF Password Remover helps you remove PDF passwords as well as passwords restrictions through GUI interface on Windows platforms. 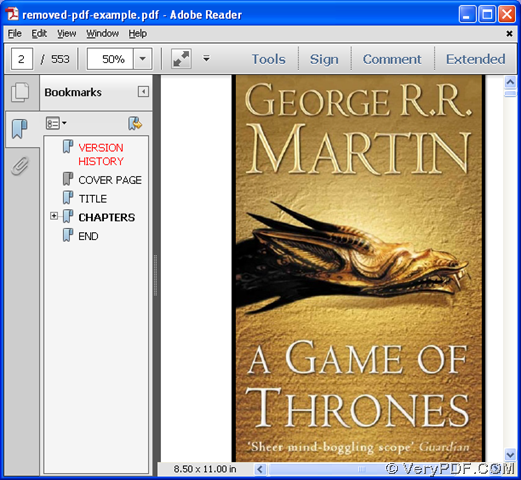 Then, just click Open PDF(s) on GUI interface > select right password protected PDF file with restrictions so that it could be added for process later directly, whose path can appear in processing table directly. After adding source encrypted PDF file, program offers you another dialog box, where you can set targeting folder for saving later PDF file, and then, click Save so that VeryPDF PDF Password Remover starts to remove PDF passwords and all restrictions directly.